Lipstick has been around for centuries. The women of ancient Mesopotamia crushed gemstones and applied them to their lips, and Egyptian women colored their lips using crushed carmine beetles. But arguably the most important lipstick innovation was made by Max Factor when, in 1930, he created lip gloss. Factor began his incredible career by creating makeup specifically for film, so it is not surprising that many of his ads featured Hollywood stars. 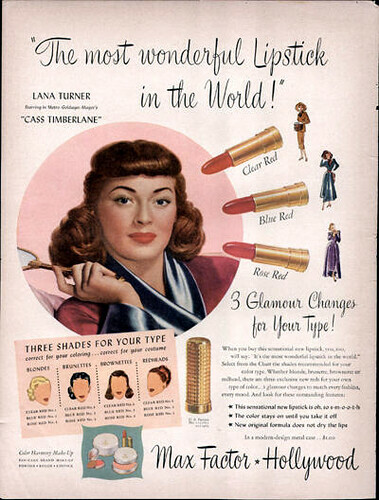 The Max Factor ads were frequently a clever cross promotion highlighting not only the cosmetics, but a popular actress and her current project, too. I know I am not alone in believing lipstick to be the perfect cosmetic; It is small enough to tuck into an evening bag and most women will not leave home without a tube of their current favorite color in their purse. Applying lipstick may have become second nature for those who wear it, but it is a uniquely feminine and extremely intimate act—perhaps that is one of the reasons people during the 1920s were scandalized when women first began to use it in public (this despite the beauty preferences of the women of ancient Mesopotamia). On screen and off, I believe that a woman watching herself in a mirror as she touches up her lipstick is far sexier than the lowest cut dress or the highest heels. 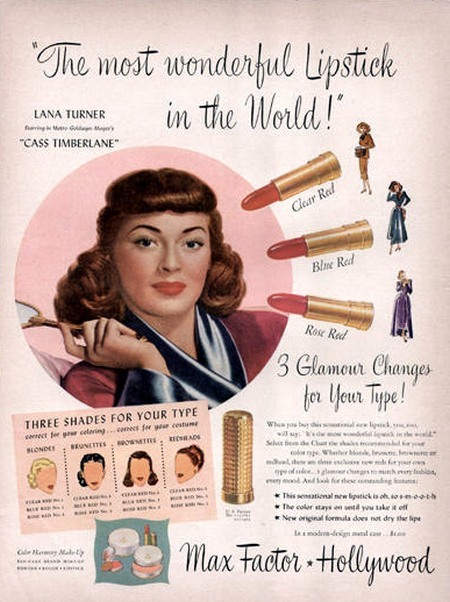 The next time you apply your favorite lip color, pause and reflect on the history of the beauty essential, then send up a silent thank you to the many innovators who’ve put work into perfecting your pout—Max Factor included, of course. Lipstick is a wonderfully versatile cosmetic. For many women it is the one beauty item they’d take with them if stranded on a desert island. I know that it would be my choice. But, as we’ve seen over the past couple of posts, lipstick can be a trouble maker. It casts a spell on some men which lures them into liaisons with women other than their wives. It leaves tell-tale traces on clothing and skin, and lingers provocatively on cigarettes smoldering in an ashtray, or imprinted on a cocktail glass — so much power in such a little tube. Is it possible that lipstick may drive men’s passions with a force so great that it may culminate in murder? 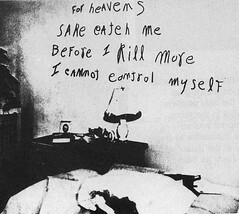 Take the 1946 case of William Heirens. It was alleged that between June 1945 and January 1946 the 17 year old had murdered two women, and murdered and dismembered a little girl. 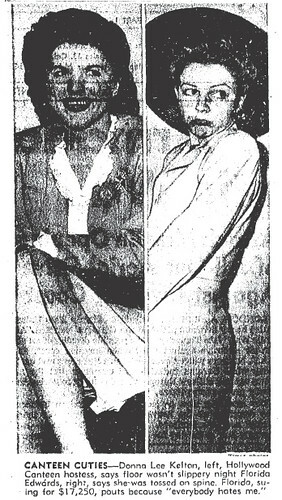 At the scene of the second murder, that of Frances Brown a former U.S. Navy WAV, there was message from the killer scrawled in the victim’s lipstick. The Chicago press dubbed the fiend “The Lipstick Killer”, and residents of the city spent several nerve jangling months until William Heirens was arrested and they breathed a collective sigh of relief. But did Heirens commit the murders, or was the teenager coerced into confessing by hard nosed Chicago cops desperate to make an arrest? There have been many other crimes in which lipstick was used to scrawl a message on a nearby surface, or even on the body of the victim. It doesn’t matter what words are used, or if the message consists only of cryptic symbols – there is something about the act of using lipstick that makes a compelling and strangely intimate statement. My favorite lipstick as a portent of evil moment comes in a scene from the 1946 film noir “The Postman Always Rings Twice” . Frank (John Garfield) has just arrived at a small cafe. He’s a drifter and is considering responding to the “Man Wanted” sign outside when he’s greeted by the cafe’s owner, Nick (Cecil Kellaway), and urged to come in for a burger. Nick tosses a burger on the grill behind the counter, but is called away for a minute to pump gas at the station outside. 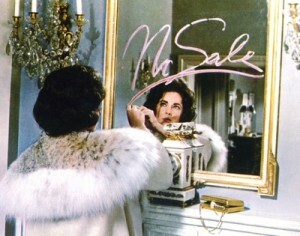 As Frank waits at the counter he hears something drop to the floor, and observes a tube of lipstick rolling toward him. As he stoops to pick it up he notices white open-toed pumps at the ends of two extremely shapely legs. The dame wearing the pumps is also wearing white shorts, a white cropped top, and is a blonde. The blonde is holding a compact and powdering her nose. Frank has just met Nick’s young wife Cora (Lana Turner). The tension between the two is palpable. Their eyes meet and they immediately engage in a power play. It’s obvious from Cora’s demeanor that she is a woman who is accustomed to getting the attention of men, and having them do her bidding. She waits for Frank to bring her lipstick to her, but he doesn’t budge. Which of them will acquiesce to the other? As you’ve seen, Cora finally gives in. But that’s just in the short run – in the long run the breathtaking blonde convinces the drifter to commit murder. It is a perfect noir moment, made all the better in my book because a tube of lipstick is the catalyst. A lipstick tube introduced Frank and Cora, and it comes full circle with Cora’s death – just as Cora is promising Frank that they’ll share many kisses that “come from life”. Ladies, when you apply your lipstick the next time you may wish to pause and to reflect upon the power implicit in such a simple act. I wish that this hair net package was in better shape, but they can’t all be perfect. I know that condition is crucial when you’re collecting, yet sometimes it doesn’t matter very much to me. I feel especially protective of the packages and boxes that are worn, and often the ones in rough and fragile condition are the only examples of certain designs that I’ve been able to locate. Regardless of their condition, I treat each addition to my collection as a treasured artifact from the past which deserves to be carefully and lovingly preserved. 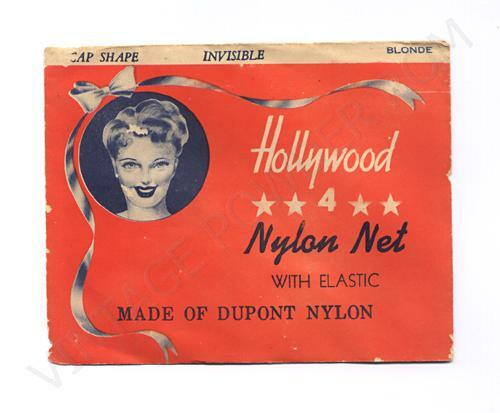 The Hollywood Hair Net package is from the 1940s, and the bright red color, along with the four stars, brings to my mind Hollywood’s part in the war effort. The woman depicted on package looks like a starlet awaiting her big break, biding her time as a hostess in the Hollywood Canteen. The stars would never shine as brightly as they did when they were doing their bit for servicemen, and women, from all over the globe. The Hollywood Canteen was the war time passion of Bette Davis, John Garfield, and Jules Stein. Miss Davis served as president, and Mr. Stein, President of Music Corporation of America, headed up the finance committee. By the time the Canteen opened its doors On October 3, 1942, over 3000 stars, players, directors, producers, grips, dancers, musicians, singers, writers, technicians, wardrobe attendants, hair stylists, agents, stand-ins, publicists, secretaries, and allied craftsmen of radio and screen had registered as volunteers. If you were a U.S. serviceman, or woman, or a member of the allied forces your uniform was your ticket to a star studded evening. Imagine the morale boost a solider would get when he was served coffee by Marlene Dietrich or Betty Grable! Here is a photo of lipstick smeared Sgt. Carl E.W. 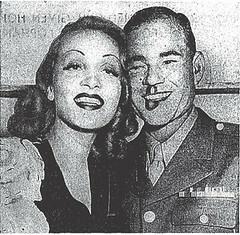 Bell with Marlene Dietrich. Bell was the one millionth solider to visit the Canteen! It’s amazing that it took the Canteen less than one year to host one million servicemen. That’s a lot of coffee and donuts. 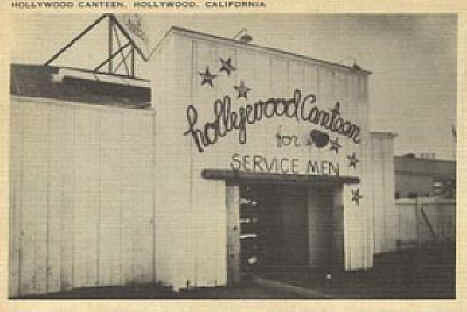 Servicemen could not only eat, socialize, and star gaze at the Canteen, they were treated to the best live entertainment that Hollywood had to offer. The roster of entertainers was a “who’s who” of radio and movie talent: Bud Abbott and Lou Costello, Lauren Bacall, Humphrey Bogart, Rita Hayworth, Bob Hope, and many more. One of the most spirited sister acts ever to boogie woogie across a stage, and a favorite of war time audiences, was the Andrews sisters. 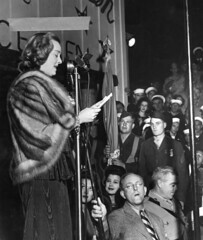 Patty, Maxine, and LaVerne travelled and performed for the troops throughout the war. Watch them perform, “I’m Gettin’ Corns for My Country” at the Canteen. I would have loved to have been in the audience on that night. Many of the hostesses at the Canteen loved to jitterbug, but not every one of them was hep to the jive. Sometime during the evening of October 31, 1942, an overly enthusiastic Marine grabbed the hand of a hostess lieutenant, Florida Edwards, and began to spin her around the dance floor. Florida yelled for help, but none was forthcoming. The jiving Marine spun his unwilling partner so hard that she became airborne and landed with a crash on her spine on the hard floor. Florida was laid up for a month, and then decided to sue the Canteen for $17,250 in damages. The case would become a battle of the swing experts. But before we go any further, let’s get hep to some hipster slang from the era. Icky (n.) — one who is not hip, a stupid person, can’t collar the jive. 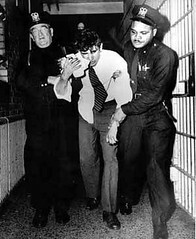 “Did you just stand still when you told him you didn’t jitterbug?” queried the Canteen’s Attorney Walter Schell. “Well, you don’t stand still with a jitterbug. They don’t let you,” explained Miss Edwards to the attorneys and judge who had never witnessed jitterbugging. In dispute was how much control a woman had once she had been thrown into a spin. Florida’s friend Luise Walker, floor manager of the Canteen, stated that once a woman was in a spin she was in trouble. Luise compared a spin to a boomerang or “English on a golf ball”. 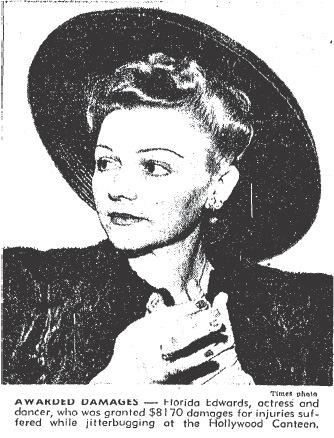 Rug-cutter and jive expert for the Canteen, Connie Roberts, (see photo) refuted Luise’s testimony, and in a demonstration she walked away unharmed from a spin. 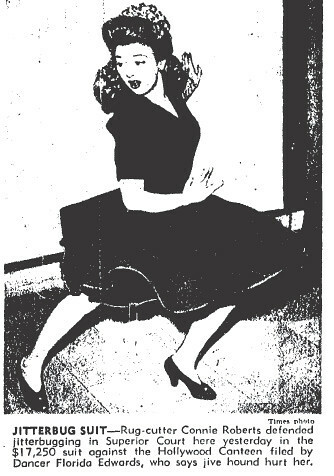 Testimony and jitterbug demonstrations notwithstanding, Judge Willis declared that the jitterbug was a “weird dance of obscure origins” and awarded Florida Edwards $8170 in damages. The amount wasn’t exactly chump change – $8170 dollars in 1943 had the same buying power as $102,331.38 in current dollars. I was curious enough about Florida to see if she ever again appeared in the news. Sure enough on January 27, 1944 a notice appeared in the Los Angeles Times announcing the marriage of Miss Florida Edwards, actress, to J.C. Lewis a radio producer and author of the musical score for the service show “Hey Rookie”. The pair was married at the Hotel Frontier. In attendance at the wedding was the groom’s sister, Diana Lewis who was married to “Thin Man” William Powell. Sounds like Florida landed on her feet. V.E.G. on Lipstick Causes Divorce — Again!
. Proudly powered by WordPress and Design Lviv.